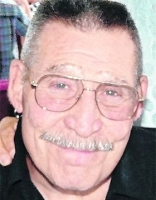 "It was a honor to know a care for Gene, He had such a great..."
Gene Ernest Davis, 80, passed away in his home with complications from congestive heart failure on March 21, 2016. Gene was born May 15, 1935 in Garibaldi, OR. He lived in Vancouver, WA most of his life with his family. He graduated from Vancouver High School in 1953. He lived in Battle Ground, WA for 10 years until he moved to Brookdale Senior Living in 2013. He lived there independently and developed close relationships with many new friends. Gene retired from Boise Cascade Paper Mill after 33 years of service. He loved and took care of his family. He lived and played hard. He did most everything he wanted to do in his life including hunting, fishing, camping, motorcycling, billiards, gardening, wood crafting, scuba diving and many other adventures. He was very artistically talented, creative and had a great sense of humor. Gene was preceded in death by his wife of 52 years, Leona M. Davis. He is survived by: three daughters; Darla Halstead of Lakeside, AZ, Cindy Dobson and Linda Burgess, both of Vancouver; sister, Janet Messner of Longview, WA; five grandchildren and five great-grandchildren. There will be a graveside gathering at Evergreen Memorial Gardens, 1101 NE 112th Ave in Vancouver, Lot 259, space 4, Arlington West, on Friday, May 13, 2016 at 3:00 p.m. followed by a "Celebration of Life" at the Burgess' at 16505 NE 88th St, Vancouver, WA 98682. In lieu of sending flowers, anyone wishing to make a donation may do so to Kaiser Hospice in his memory.